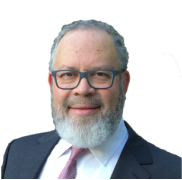 About Us - H.LEINER & CO.
Herschel Leiner of H. LEINER & CO. Corporate & Nonprofit Solutions is the name in the Jewish nonprofit world for expert consulting in fundraising, strategic planning, nonprofit branding, marketing and staffing. An authoritative voice in the field, H. LEINER & CO. produces the only publication dedicated to Jewish nonprofit leaders ("Between the Lines"), as well as a weekly eblast ("HL Tip of the Week") to thousands of organizations across the globe, to empower leadership, management and excellence in this field. Originally renowned for his winning seminars on development, branding, leadership and management of nonprofit organizations, his popular "Dinner In A Day" and Capital Campaign seminars won hundreds of his clients soaring revenues by as much as 1200%. In its decade of service to over 300 Jewish nonprofits, H. LEINER & CO. has consulted on projects raising over $500 million in charity. With a diverse team of talented professionals that are on the cutting edge of today’s fast-paced marketing environment, H. LEINER & CO.'s track record of scores of successful clients has made them an icon in the field. Constantly studying trends in the industry and blending it with decades of experience, Herschel Leiner brings to the podium fresh perspectives and results-driven ideas so leaders can walk away with the tools they need to aim even higher.